Have you heard of the franchise JDog Junk Removal & Hauling? This year, JDog Junk Removal & Hauling opened its 200thfranchise . They’ve been in business for just seven years, and JDog is on its way to becoming the fastest growing junk removal franchise in the United States. However, what makes JDog stand out from other franchises is their emphasis on hiring veterans. The company was started by Jerry and Tracy Flanagan, a husband and wife entrepreneur team. Jerry is an Army veteran. The owner of their 200 thfranchise is Ray Gagnon, a Martine Corps veteran who spent 25 years in service. 85-90 percent of JDog’s franchises are veteran-owned. The business provides veterans with the chance to get back into the civilian working world, and ultimately become the masters of their own destiny through entrepreneurship. No matter which franchise a veteran invests in, they still must learn the ins and outs of franchise ownership. What should be at the top of mind for a veteran starting a franchise? 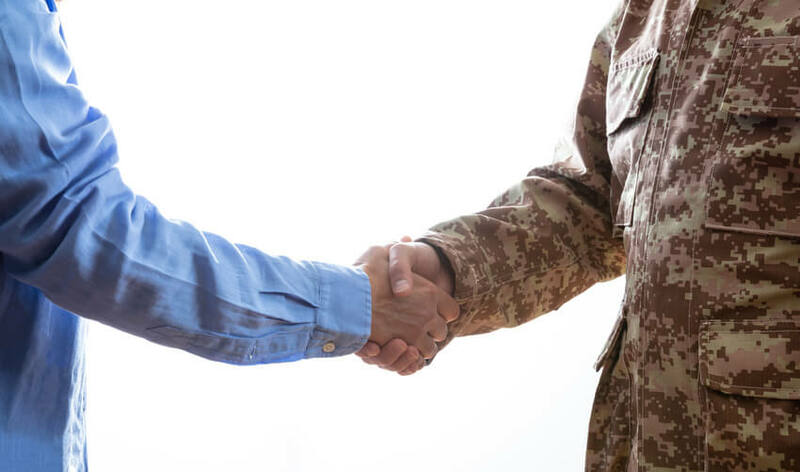 Before signing any documents, veterans should pay attention to the following details as future franchise owners. Beyond junk removal, there are several franchise options available to veteran entrepreneurs. These options range from a wide variety of industries to low cost franchises. Opportunities are everywhere, so don’t feel as though you should open a franchise in a specific field just because it looks profitable now. Ask yourself the following questions to help find your footing before getting started. What are you passionate about? Do you love working out? Are your lawn care abilities exceptional? Have you ever wanted to own a coffee shop? Narrow down the fields you’re inclined towards. You might even have had experience in these areas prior to enlisting in the military. There are plenty of exercise, landscaping, and beverage-based franchises available to choose from that could be a great fit for you and your interests. When in doubt, attend a trade show or expo in your area to learn more. Do you know about low cost franchises? Veterans don’t have to invest in expensive franchises if they don’t have funds available. Low cost franchises do exist and include non-traditional approaches to storefronts like kiosks and vending machines. Don’t go into debt if you don’t have enough for a traditional storefront and worry about securing its capital. Opting for a low cost option might be your best bet to ensure low overhead for the business. What kind of field do you want to go into? Investing in a franchise is, generally, a low-term career plan. Veterans might crave the name recognition and built-in branding of a franchise like Dunkin’ Donuts or Subway. Or, they might go the other direction and pick a lesser-known franchise in an emerging field. Either way, it’s important to address the “why” early on behind your franchise. Before you can receive the Franchise Disclosure Document (FDD), review it, and complete your application, veteran entrepreneurs must meet with franchisors. It’s not as intimidating as it sounds, either. This is simply part of your due diligence. Meeting with a franchisor allows you the chance to ask them questions about their journey into franchise ownership. What is it like to operate the franchise on a day-to-day basis? How long does it take before the franchise becomes profitable? Are there hidden expenses to watch out for? Which aspects of the workload are the most challenging? Do franchisors offer training or support to franchisees? You may even ask to spend some time working at their storefront, if their franchise model currently operates as one. This allows veterans to better understand what’s in store for them as franchise owners. Aside from franchisors, veterans that want to break into franchises should speak with franchisees. Reach out to past franchisees. Inquire if they would be willing to chat with you about their experience, particularly if it did not go smoothly. It’s not an easy conversation to have, but it’s a necessary one. You need understand the good, bad, and the (potentially) ugly of what you’re getting into — and if it’s really ugly, how to avoid making a big mistake. After meeting with a franchisor and applying and submitting your franchise application, you’ll receive the Franchise Disclosure Document (FDD) . This comprehensive set of guidelines — broken down into 23 parts — needs to be as thoroughly reviewed as possible by veterans. What kind of information does the Franchise Disclosure Document (FDD) cover ? There are sections dedicated to the franchisor’s background, any recurring fees, and types of training offered by the franchisor. You’ll also uncover information about what the franchise offers customers, termination and renewal qualifications, and financial statements that show the growth of the franchise over the years. This is a lot for veteran entrepreneurs, and really any would-be franchise owner, to take in at once. I cannot provide legal advice, but it is recommended that any confusion be addressed with a legal professional. Meet with a trusted individual and/or accountant (especially for the financial statements!) to review the document together. It’s almost time to become a veteran franchise owner! Before you go, consider one more piece of advice. The franchise you buy will need to be incorporated as a legal structure. Generally, most owners choose to incorporate or form an LLC. However, incorporating as an S Corporation might be an even better bet for the franchise. This entity essentially tells the federal government that it would like to be taxed as a partnership. This allows profits, losses, and deductions to “pass-through” the entity level and be taxed at the shareholder level. Thanks to this pass-through, S Corporations allow entrepreneurs to avoid double taxation. They can even save money on payroll FICA taxes simply because they incorporated as an S Corp. You are, of course, welcome to review this possibility with a legal professional. This will ensure you are choosing the best entity for your new franchise. Breaking into the franchise industry isn’t as intimidating as it seems, especially for veteran entrepreneurs who may be worried about entering this new workforce. Understand what you want to do, meet with a franchisor, review your FDD with a legal professional, and discuss potential entity options for incorporation. Once you’re done, go out and take on the world!